Are you in Back to School mode? I know I am! Gone are the days of sleeping in, and it’s been replaced with up early, making lunches, shoving the kids out the door (lovingly, of course), car rider lines, and homework! Today, I’m sharing 20 of my favorite kid friendly fonts to use in your next design. Best part? I only included fonts with commercial use licensing available. What Do I Look for in a Kid’s Font? When I’m searching for fonts to use in kid’s designs, I look for fun fonts. One that are bouncy, smooth edged, have mixed case alphabets, and are not script. 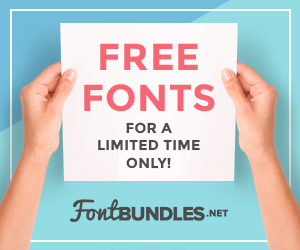 Don’t be afraid to be a little wild and crazy in your font choices – just like kids! Fattycakes and Zooky Squash, are some current faves.